Every website owners are crazy to see their pages on the search results, of course why not even me I am crazy about it, and that is possible through Google indexed or indexation from any search engines. Indexation means how many pages of your sites that you have submitted to the Search Console or Webmaster Tools whether it be Google, Bing, Yahoo or any other search engines. Probably if your pages are not indexed it will not show in the search results, and you might also be curious to see which of your contents are indexed. 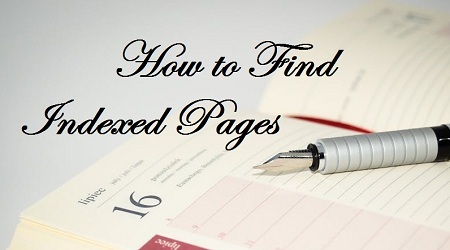 So here’s how to find out which of your pages are indexed. There is a way to find out which pages have actually been indexed and this is possible by using tools which will tell you the status of the indexed page. You will be able to see how many pages are indexed or how many are dropped out, but the results that are given or provided are not actually the exact number or very good. The other way you could see which of your pages have been indexed is, by just tying site:yourdomain.com and this will also give you a number, but you should also know that according to Google you should not look at that number anymore, because it depends on which data center or search engines is actually giving you the information, because some will give you more information and some less about your page indexation. So, this tools or techniques do not really work or give you the right information. I would personally recommend not to use this, because your site ranking may also get affected. The only way to do it legally to find out about your page indexed is to go into the Webmaster Tool like Google, Bing etc. which will show you the correct numbers of indexed pages of your website. So, how is it possible to follow up or know which of the pages have been indexed from Webmaster Tool or Search Console. Breakdown your pages and submit the sitemap to Webmaster Tool or Search Console, suppose if you have a very large website then break down your web pages and submit your sitemap like 50 pages at a time and follow up Search Console indexed status report. Then you would probably know about your indexed pages. If your Search Console indexed status reports gives, say 40 pages have been indexed that means out of 50 pages that you have submitted 40 pages are indexed, and you would, of course, know which pages have submitted and indexed by search engines. So, I would strongly recommend you to just look and follow up Search Console data and not use any other column command or any other tools or software.